I don’t do video blogs very often but today is a good opportunity. Happy Hanukkah, Merry Christmas, Happy Holidays, and get ready for a fabulous 2017! Just this week, the CDC released a new recommendation about the HPV vaccine. Since 2006 a vaccine protecting against the human papillomavirus (HPV) has been available for girls aged 9-26. In 2011 this vaccine was also approved for boys. Human papillomavirus is the virus that causes cervical cancer in women, penile cancer in men, and genital warts and head and neck cancers in both men and women. It is sexually transmitted and can be transmitted from mother to baby during birth. It is estimated that up to 80% of women who are sexually active will contract the HPV virus. In 2013 (the latest year for which statistics are available) almost 12,000 women were diagnosed with cervical cancer and over 4000 women died from it. About 19,000 cancers in women and 8000 cancers in men per year are caused by HPV. Cervical cancer used to be the leading cause of death from cancer in women, but the use of the Pap smear has dramatically decreased the impact of cervical cancer on women over the last 40 years. Now we have a vaccine that even further reduce the cases of cervical and other cancers and the number of women and men who lose their lives. Since the introduction of the vaccine, cases of HPV infection with the strains of virus covered by the vaccine has decreased by 56%. Unfortunately, according to research published in 2013, only about 1/3 of girls between 13 and 17 had been fully vaccinated. Other countries, such as Rwanda, have vaccinated over 80% of their teenage girls. However, even with such low vaccination rates in the US, infection rates went down from 11.5% to 5.1%. In order to increase the percentage of teenagers who are vaccinated and further reduce infection rates, researchers have been studying a two-dose vaccine schedule for the HPV vaccine. They have found that two doses is as effective for younger teenagers as the traditional three-dose schedule. The new recommendation for teens who start the vaccine series before their 15th birthday is to have two doses 6-12 months apart. If the patient starts the series at age 15 or older, they should receive the traditional three doses with the second and third doses 2 and 6 months after the first shot, respectively. It is important to realize that we don’t have to restart the vaccine schedule at any point. So if your teenager had the first shot and didn’t get back for the last two, we just continue at whatever point we started. For instance if a parent had their teen get their first shot at 12 years (which is when we typically recommend the vaccine) but then had second thoughts and didn’t continue, that’s OK. We would simply give a second dose and call it a day, no matter how old the patient is, as long as they are under 26. The two-dose schedule for HPV vaccination should make it easier to get our teenagers protected against a preventable, cancer-causing infection. QUESTION: Do you think the new two-dose vaccine schedule will improve HPV vaccination rates in American teenagers? Fever. Headache. Body aches. Loss of appetite. Typical viral illness, right? Then 3-4 days into the illness you start with swelling in front of your left ear. The swelling quickly worsens until it is pushing your ear up and out and you can’t feel the bone of your lower jaw because of the swelling. Most of the cases have been on college campuses. Mumps is spread by droplet transmission, in which secretions from an infected person are spread by coughing, sneezing, kissing, or sharing drinks, cigarettes or eating utensils. Why are we experiencing an outbreak of a disease that is prevented by a vaccine every child is supposed to receive? Most of the cases are actually occurring in people who HAVE been vaccinated. It turns out that mumps immunity starts to wear off about 10-15 years after vaccination. College students, in general, had their last MMR vaccine (measles, mumps and rubella) when they started kindergarten. There is no current recommendation to give a booster vaccination of MMR prior to college. Why not? Turns out even though the vaccine-stimulated immunity isn’t perfect it is still pretty darn good. Prior to the MMR vaccine being introduced in 1967 about 186,000 cases were reported in the USA per year. Deaths were very rare but the illness did cause permanent deafness and rare cases of encephalitis and meningitis. It also inflamed the testicles of boys in up to 10% of cases and could interfere with fertility. Since the MMR vaccine was introduced, cases of mumps have decreased by 99% and many physicians (myself included) have never seen a case. It would be difficult to improve much on 99% effectiveness with a third vaccine dose and we very well might hurt more people with an additional vaccine dose than we would help by preventing the few cases of mumps that still develop. Vaccines are not perfectly safe, and all medical treatments have risks. However, if an outbreak does occur on an individual college campus or other setting where large numbers of susceptible people are concentrated, offering booster doses of vaccine is standard of care. In those cases, students and other individuals are at much higher risk of catching the illness. The balance of chance-to-help vs. chance-to-hurt is much more favorable. If you or your family member is in college or in a setting where they are exposed to a lot of people on a daily basis and cases of mumps are reported, please consider asking for a booster dose of MMR vaccine. It is a very contagious disease and getting a booster can decrease the risk of a pretty miserable experience. 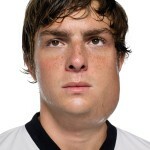 QUESTION: Have you or a family member ever had mumps? Happy December! Now is the time for us all to look back at 2016 and evaluate what we achieved in 2016 and set some goals for 2017. Remember that old saying, “Failing to plan is the same as planning to fail?” There is an understanding among highly productive, motivated people that nothing happens by accident. In order for us to MEET our goals, first we must SET goals. So how does one go about effective goal setting? The first step in goal setting is to DREAM. Imagine what your life would be like if it were absolutely perfect. What would that look like? What would your income be? What would your career be like? What would your personal life look like? Your marriage? Your relationships with the people you love? Your faith? Your health? Everyone’s goals are intensely personal but the process of prioritizing and goal setting is pretty much the same for everyone. Once you have visualized your ideal life, you can evaluate how far each aspect of your life is from what you have dreamed. Then you can make a plan to achieve it, or at least to take the next step on the path toward that ideal. Let’s go over some examples of what that might look like. I absolutely LOVE my job. I love being a family doctor, I love teaching medical students, and I adore my Shaklee business. Helping people is what gets me up and out of bed every day. What do you love about your job or your career? Do you want to do more of that, and less of the things you don’t like? Do you find that there are aspects of your career that really are a killjoy? Is there a way to minimize those aspects? Would you like to see a promotion or other evolution in your career in the next year? Go ahead and dream. Dream BIG. Dream a career dream that is so big it scares you! Then sit down and think about what it would take to achieve it. Look for training, look for advice from your boss or HR department. Do what you need to skill up to add more value to your employer. Once you know what you need to do to achieve your professional goals, break them down into manageable chunks. Set deadlines (because a goal is just a dream with a deadline, right?) and work towards meeting those deadlines. What do you dream about when you think of your personal life? Does your home not fit your lifestyle anymore, either because your children are grown and you’re an empty nester, or because your family has grown with a new baby or a parent that needs care? Do you want to live in a different city, or a different climate? Do you have some trouble in your marriage that you’d like to resolve? Is your relationship with a sibling, parent, child or friend not what you’d want it to be? Would you like to try a new hobby or learn a new skill? Travel to a new place, learn a new language, play an instrument? Are you participating in your religious faith as much as you want? Is there an opportunity to get more involved in your religious community and hang out with those who believe as you do? Could you explore volunteering for a charitable organization that is important to you? Think back to when you were much younger and life was much less cluttered with obligations. What did you dream of doing that has been pushed to the side by job and family and other commitments? Is there an opportunity to fulfill that dream in 2017? How is your health? Do you feel good every day? Do you have the ability to do the things that you want to do? Do you move your body in ways that you enjoy? Do you know how to cook healthy, tasty food that nourishes your body and promotes health and wellness? What health goals do you have? If you haven’t filled out a Shaklee HealthPrint yet, please click here and fill one out. It’s free, takes 5 minutes, and will help point you in the direction of meeting your health goals! Remember to set goals that YOU have control over. For instance, you may want to win the lottery, but how much control do you have over that? You can buy a lottery ticket consistently, but that’s about it. In the same vein, you can set a goal to find your future spouse this year, but again, that’s not something you have a lot of control over. You may want to lose 100 pounds next year, and you can do it, plenty of people do. But that enormous goal could be very intimidating. So it’s easier to set a smaller goal of exercising 30 minutes 4 times per week, packing your lunch daily and tracking your food on myfitnesspal.com to get a handle on your calorie intake. See how much more manageable that seems? I want to help you set new goals for 2017 that will make your life better! Not just SET goals, but blow them away! Imagine how different your life could be next year compared to today. If you can DREAM it, you can DO it!